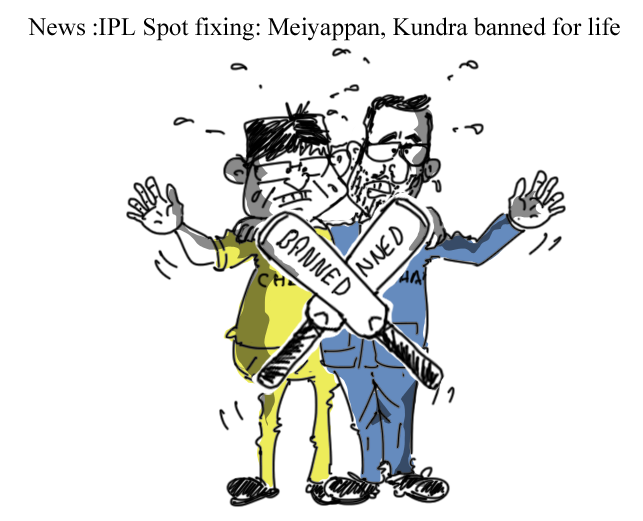 Panel appointed by Supreme Court in the IPL cricket match fixing case has banned Rajasthan Royals and Chennai Super Kings Teams for two years from the tournament and co-owner of Rajasthan Royals , Raj Kundra and owner of Chennai Super Kings , Gurunath Meiyappan have been banned from all forms of cricket for lifetime. Pakistan has never won against India in World Cup matches ever in the past. 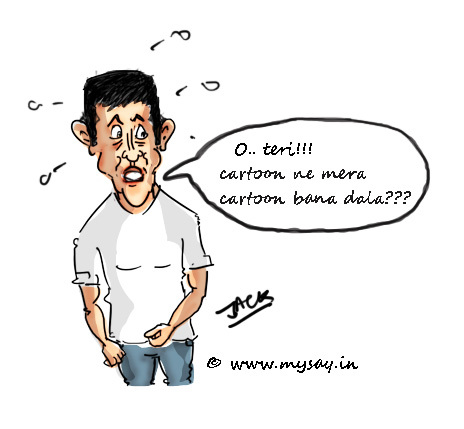 Will 2015 World Cup match break this World Cup jinx against India ? India does it again. 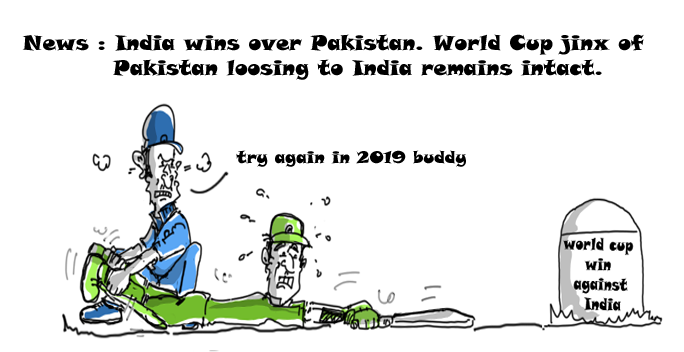 Refrains Pakistan from winning against India in World Cup 2015. Jinx intact !! 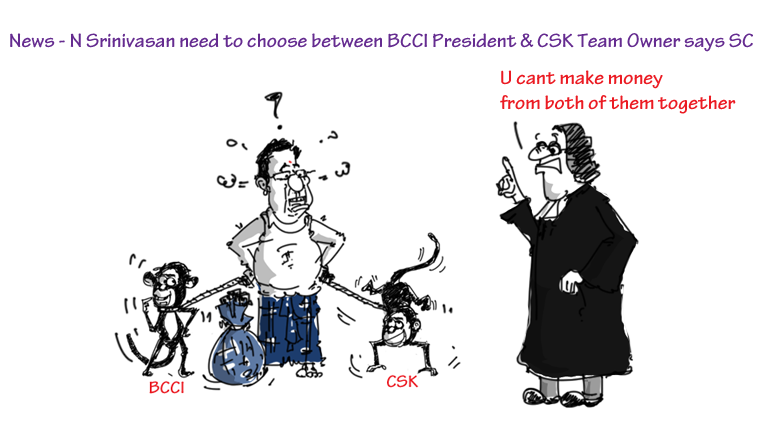 The Supreme Court has ordered BCCI chief in exile, N Srinivasan, that he can only be eligible for elections for the post of president of BCCI if he disowns Chennai Super Kings Team of IPL. In other words, he cannot enjoy the post of BCCI president and a Team franchise owner at the same time as both the positions create conflict of interests. The Supreme Court also sited that although there are no proofs but there is a strong probability that Srinivasan was involved in IPL corruption. In a major set back to ICC Chairman , N Srinivasan (and suspended BCCI chairman), the Supreme Court wants Chennai Super Kings Team to be disqualified. 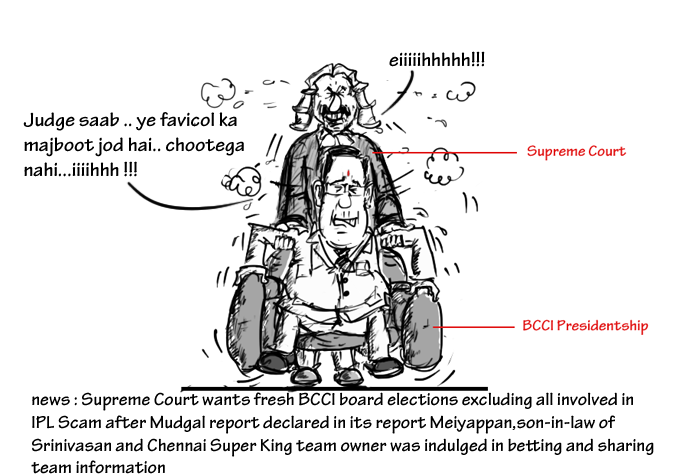 After the Mudgal report which found Meiyappan , son-in-law of N Srinivasan owner of Team CSK being involved in betting. The Court has also asked to conduct fresh elections for BCCI excluding officials with tainted image in IPL spot-fixing Scam. 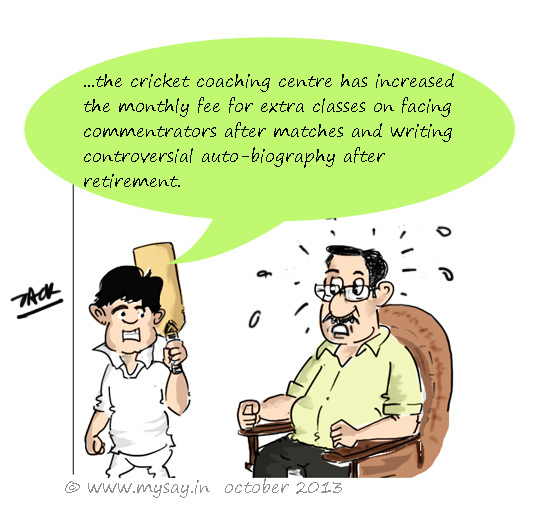 Srinivasan, on the other hand, wants a clean chit from the court to contest for the post of BCCI president yet again. 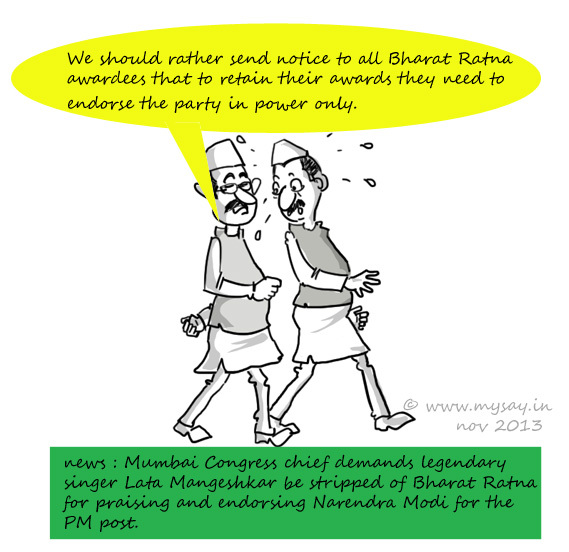 The Mumbai Congress chief, Janardan Chandurkar, demanded legendary singer Lata Mangeshkar’s stripped of her Bharat Ratna after her public endorsement of Narendra Modi as the next Prime Minister of the nation. Previously, BJP’s Chandan Mitra had made similar demand asking Nobel laureate Amartya Sen be stripped of his Bharat Ratna for saying that he would not like to see Narendra Modi as the country’s next Prime Minister. As the media says, you may love him or hate him but you can’t avoid him.That is Narendra Modi. Australian former cricketer and captain,Ricky Ponting, has dug out the unforgettable ‘monkeygate scandal’ In his memoirs — titled ‘The Close of Play’ –where he said he didn’t understand why Sachin Tendulkar vouched for Harbhajan Singh during the appeal hearing but did not say anything when match referee Mike Procter initially suspended the spinner for passing allegedly racial comments at the Australian all-rounder Andrew Symonds.Harbhajan was accused of calling Symonds a monkey during the 2008 Sydney Test and was suspended for three Tests.Interestingly,Bhajji aka Harbhajan was cleared in an appeal hearing, conducted by Justice John Hansen from New Zealand, in which Tendulkar appeared as a witness and gave a statement in favour of Harbhajan. 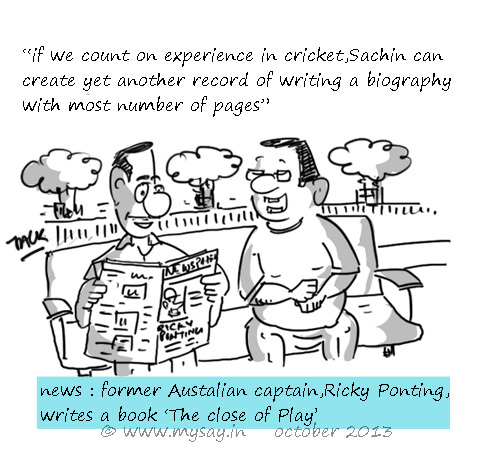 Just a thought- Is it a norm that after finishing cricketing career, a cricketer has to write about his experiences? And to add on,he has to talk specifically about some controversial on-field incidents of the past? 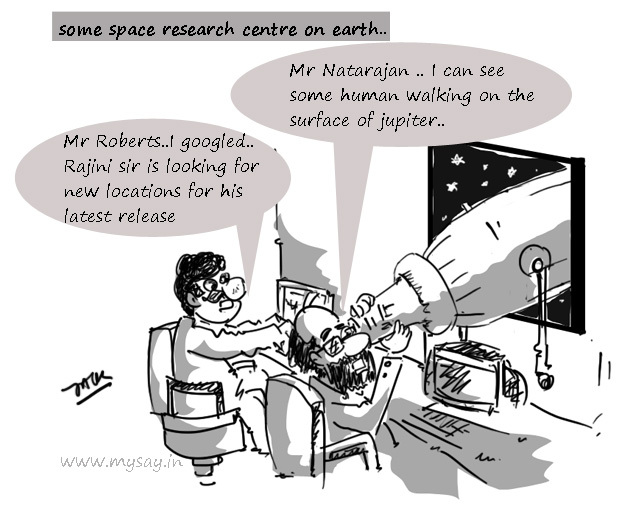 if you liked this Rajnikanth(Sir) joke ,check more cartoons here. 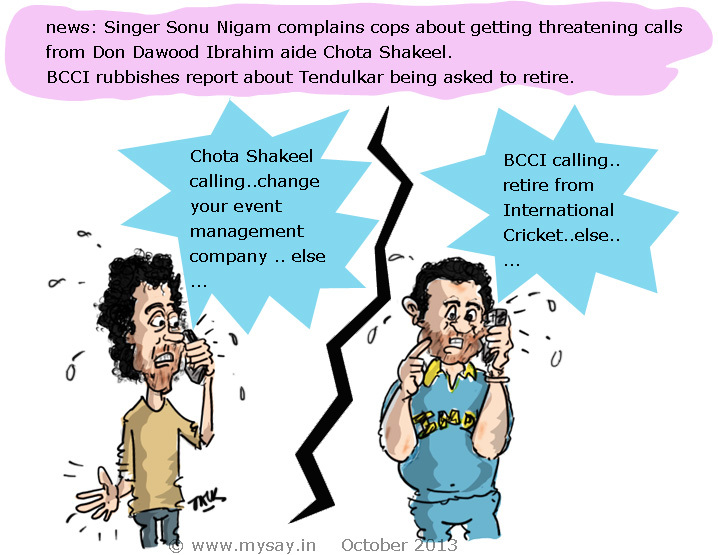 Threatening Calls to Sonu Nigam by Chota Shakeel? Singer Sonu Nigam has filed a complaint with the police about getting threatening calls from Underworld Don Chotta Shakeel asking him to change the event management company handling his 2014 world tour. 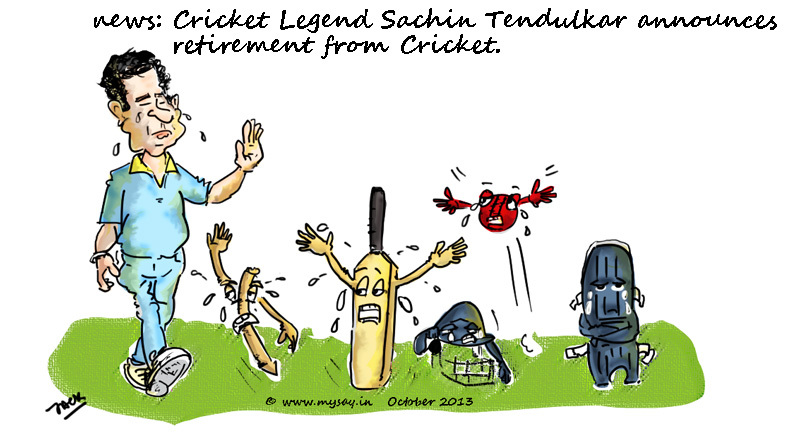 Also the BCCI has rubbished the report claiming cricket legend,Sachin Tendulkar, being forced by BCCI to retire.